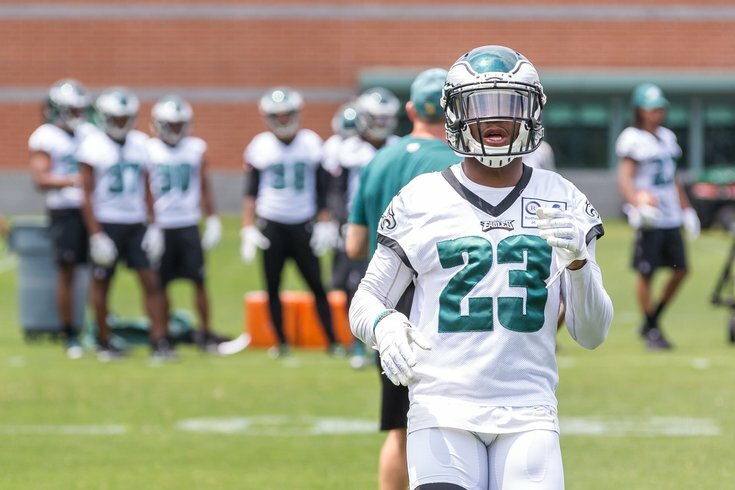 During the Philadelphia Eagles' loss to the Kansas City Chiefs on Sunday, safety Rodney McLeod suffered a hamstring injury that kept him out for the remainder of the game. According to a source, the initial diagnosis is a grade 1 hamstring strain. Grade 1 is lowest of the grades, or the least severe. McLeod may or may not play this Sunday at home against the New York Giants, but the initial prognosis is that it is not a long-term, serious injury, assuming proper rest and treatment. In his press conference with reporters on Monday, Doug Pederson categorized the injury as day-to-day, which would jibe with the initial diagnosis. Pederson said the Eagles were still waiting on some tests, and that the Eagles would know better by Wednesday. The Eagles missed McLeod after he was lost for the day against the Chiefs. On perhaps the biggest play of the day, Chiefs running back Kareem Hunt broke into the secondary, finding himself mano-e-mano with McLeod's replacement, Corey Graham. Hunt blew right by Graham for a 53-yard touchdown run. McLeod may have otherwise been able to make that play, or at least slow Hunt down so someone else could.